At MacKay & Berube PLLC, we help clients assess the value of their investments and thoroughly draft contracts and agreements that protect their best interests. Our Poughkeepsie real estate transaction attorneys bring an unparalleled level of personal attention and care to every case that is backed by more than 45 years of combined experience in the practice of law. We can help assure you get what you pay for in real estate purchase and sale agreements. 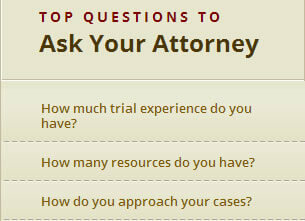 Schedule a free initial consultation with our firm online or by telephone at 845-462-0001. A detailed real estate contract should specify deadlines, contract dates, closing dates, contingencies, property descriptions and financial obligations through every step of the real estate purchase/sale process. Failure to thoroughly describe each party’s obligations as well as the condition of the property can result in commercial and residential real estate litigation later on. By choosing an experienced lawyer now, you can save yourself the cost of legal disputes caused by poorly drafted contracts, inexperience in real estate law and a failure to consider long-term legal implications for your investment. We have the skills needed to get results in your case.